As you can see from the photos, this rack has been removed from a 3 year old Venue system. The rack is fully functional. 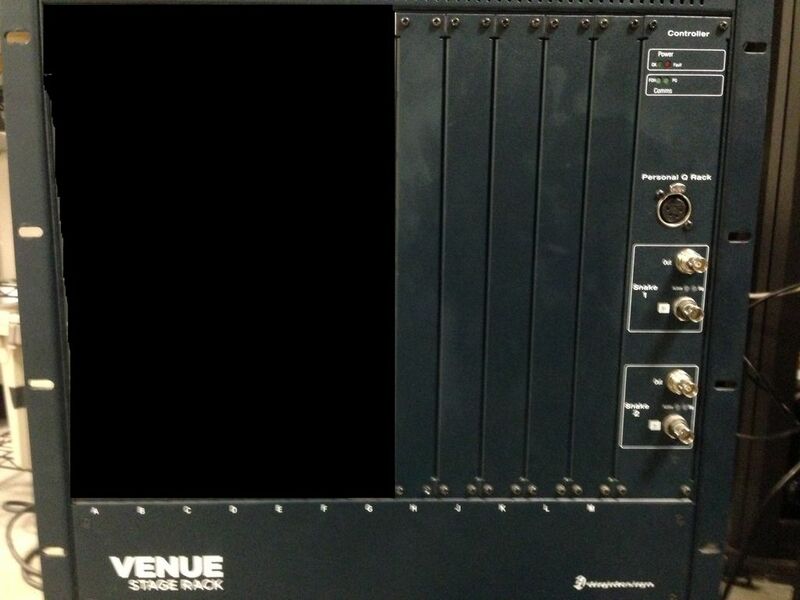 This listing IS ONLY FOR THE 10U STAGE RACK! NO I/O CARDS ARE INCLUDED! 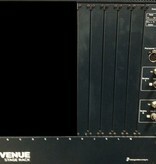 Stage Rack serves as the remote I/O component of the D-Show and Profile live sound systems for stage connections. Working in conjunction with the FOH Rack, Stage Rack can be expanded to house a variety of analog and digital inputs and outputs for mic and line-level connections, which are delivered via a 75 Ohm BNC digital snake connection to the DSP Mix Engine cards housed in the FOH Rack. Up to two Stage Racks can be used simultaneously with a D-Show or Profile System to handle large-scale stage productions—up to 96 total mic/line inputs and outputs. Accommodate larger productions and ensembles by doubling your D-Show or Profile System's stage input and output capacity. With the Snake Card, an option for the FOH Rack, you can connect a second Stage Rack to expand the system’s remote I/O capacity to a maximum 96 inputs and outputs (FOH Rack comes with one Snake Card installed for one Stage Rack connection). Featuring BNC-style 75 Ohm connections (with optional redundant snake capability for backup connection), the Snake Card transmits up to 48 inputs and outputs between your system’s remote Stage Rack and console. Note: This Stage Rack has NO I/O cards!